A parking lot shooting ended in the death of a man in Clearwater, Florida after a dispute at a restaurant. 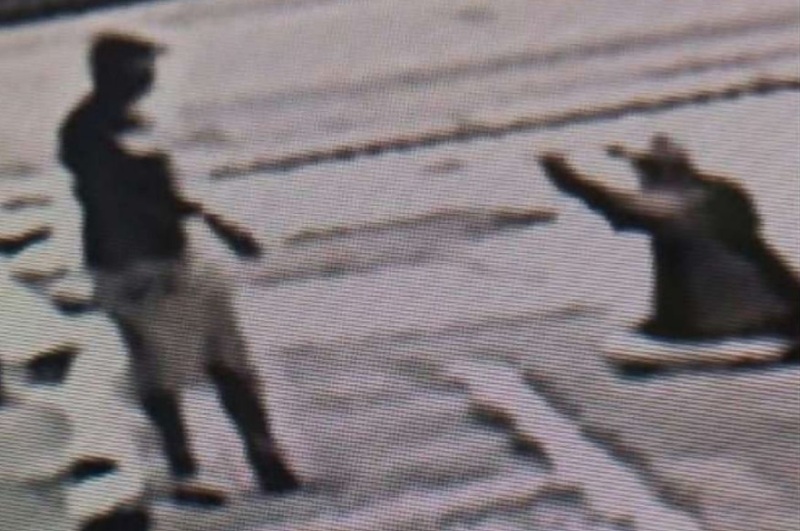 Pinellas County Sheriff said the man captured in surveillance video being shoved to the ground before shooting his attacker will not be charged under the state's "Stand Your Ground" law. "I don't make the law. I enforce the law," Gualtieri said during a news conference Friday. "The law in the state of Florida today is that people have a right to stand their ground and have a right to defend themselves when they believe that they are in harm." While the sheriff's office has declined to charge the man the case will still be sent to the state attorney's office for review. Sheriff Gualtieri added, "This will go to the state attorney. Drejka will not be charged [and] will not be arrested by us. The state attorney will review it and either he’ll concur or not. And, if he concurs, then there’ll be no charge. Period. If he doesn’t concur, then he’ll make a determination as to what to do with it. And, if he feels like he can overcome that heavy burden at a Stand Your Ground hearing of proving by clear and convincing evidence that Drejka was not entitled to use force in this circumstance, then that’s the state attorney’s determination to make." This is a good decision on the part of the sheriff because unlike in the UK where you are required by law to be a victim and not fight back when assaulted, Florida allows people to defend themselves when they believe they are in harm's way. If more people stood their ground there would be fewer assaults and violent crimes because criminals would know their victims will fight back if threatened. Gualtieri said the incident took place around 3:28 p.m. Thursday and started when Britany Jacobs, 24, was sitting in her car in a handicapped parking space outside a Circle A food store. Jacob's boyfriend Markeis McGlockton, 28, and their son Markeis McGlockton Jr., 5, entered the store. While they were in the store, Jacobs was confronted by Michael Drejka, 47, who got into an argument with her over where she was parked. "According to witnesses, McGlockton exited the store and walked over to Drejka who was still arguing with Jacobs in the parking lot. Witnesses say McGlockton forcibly pushed Drejka causing Drejka to fall to the ground. "Gualtieri said, "Witnesses told detectives that Drejka was on the ground when he took out a handgun and fired one single round at McGlockton striking him in the chest. Several witnesses called 911 as the incident unfolded. When deputies arrived, Drejka was cooperative with deputies. Drejka told deputies he placed his firearm in his Toyota 4-Runner prior to their arrival"
McGlockton reportedly went into the store to buy candy for his son. "It's sad to see McGlockton die in front of his son. … For a parking lot space. For a stupid reason. Just to argue, just to find someone to argue with," the store owner Ali Selous said. Deputies took possession of Drejka's handgun and took him to the North District Station where they interviewed him and confirmed he had a valid Florida concealed weapons license. @day: he had the right to reach for his gun in case the man continued to assault him. when the man backs away it's OBVIOUS that he's no longer a threat but the poor little baby who got his feelings hurt fires anyway. the dead guy blind sided the shooter. then he proceeded to move closer to him. when he saw the gun he started to back off. so there was no longer an imminent threat to the guy on the ground. If the dead guy simply walked up and said sorry about the parking and we are leaving now he would be alive today. It was His action that ended his life. the stand your ground law shooter was not at risk as soon as he pointed his gun. he may end up being charged.